With Malice Toward None --------- by Lee Harris: It's the Economy, Stupid! The red bars indicate the job losses in the last year of the Bush Administration. This is just the last year of an entire 8 years of job losses thanks to George W. Bush. 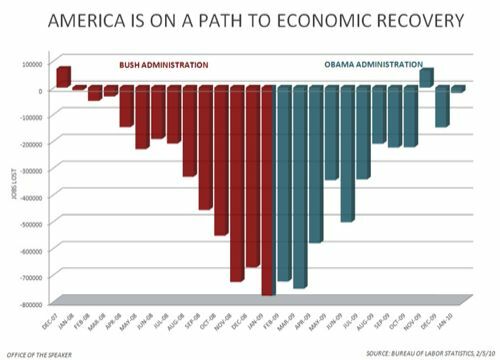 The blue bars show the decelerating job losses in the first year of President Obama's Administration.